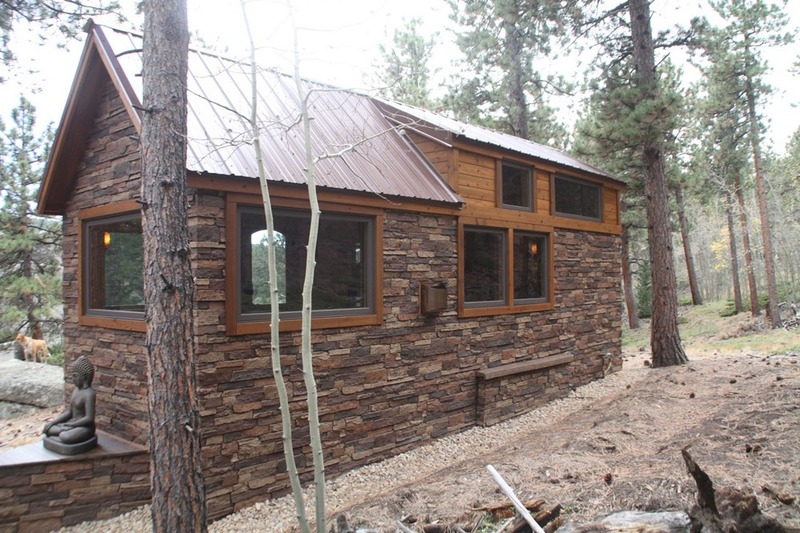 This rustic stone cottage is a 204 sq.ft. 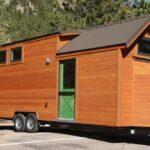 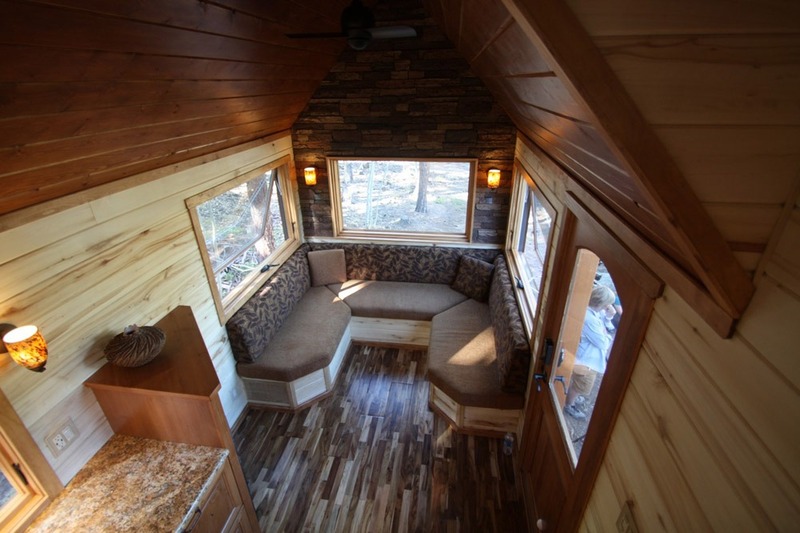 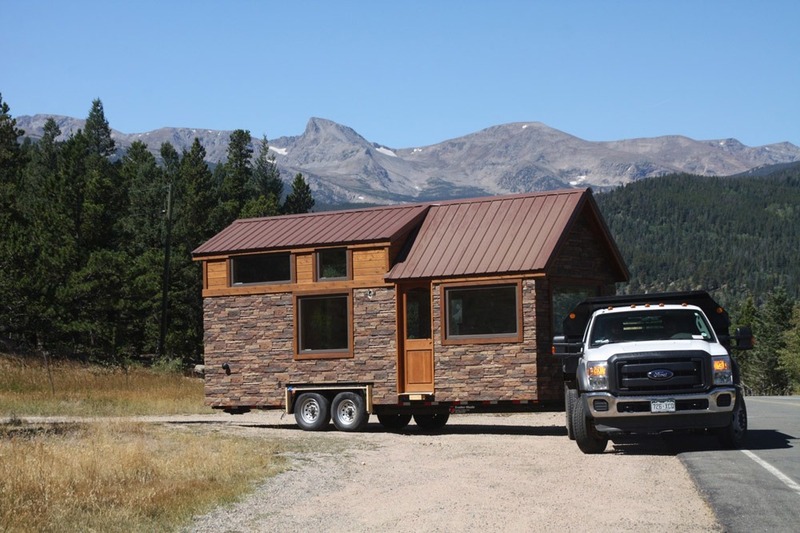 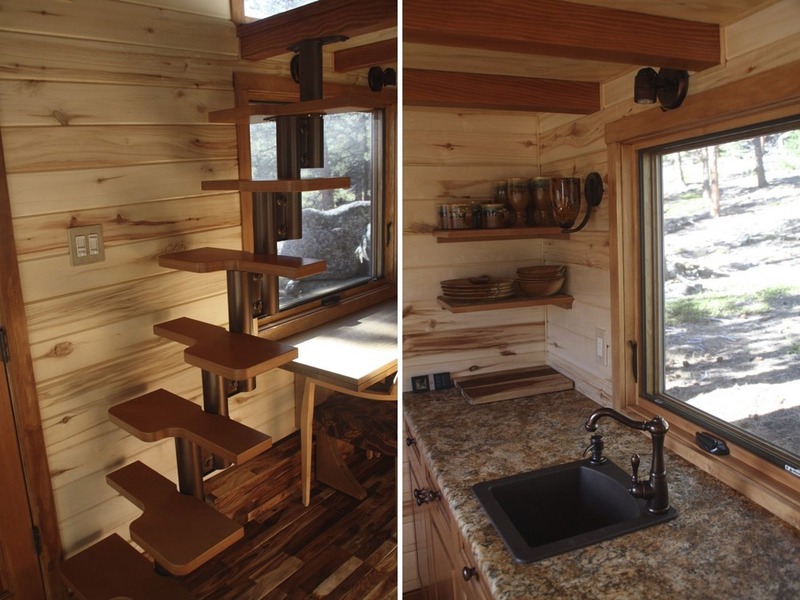 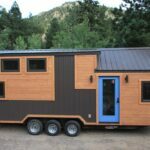 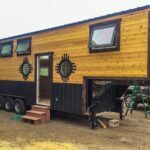 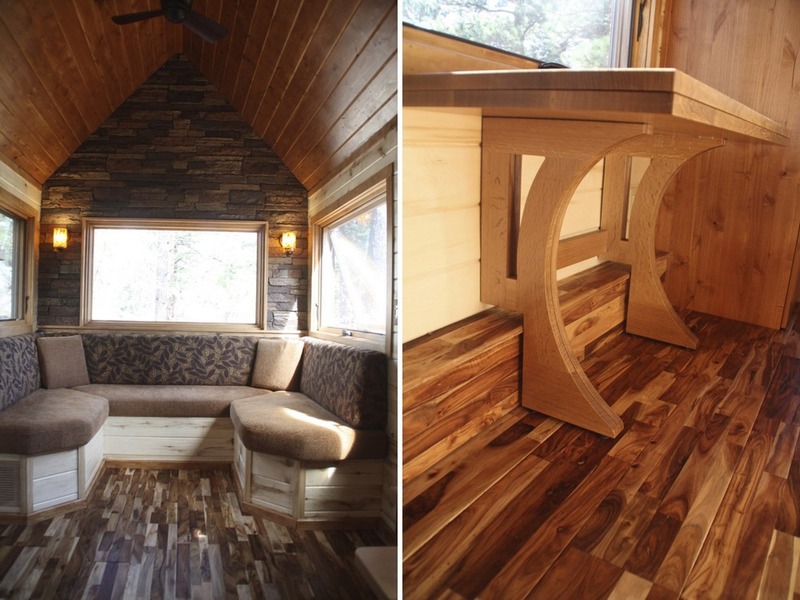 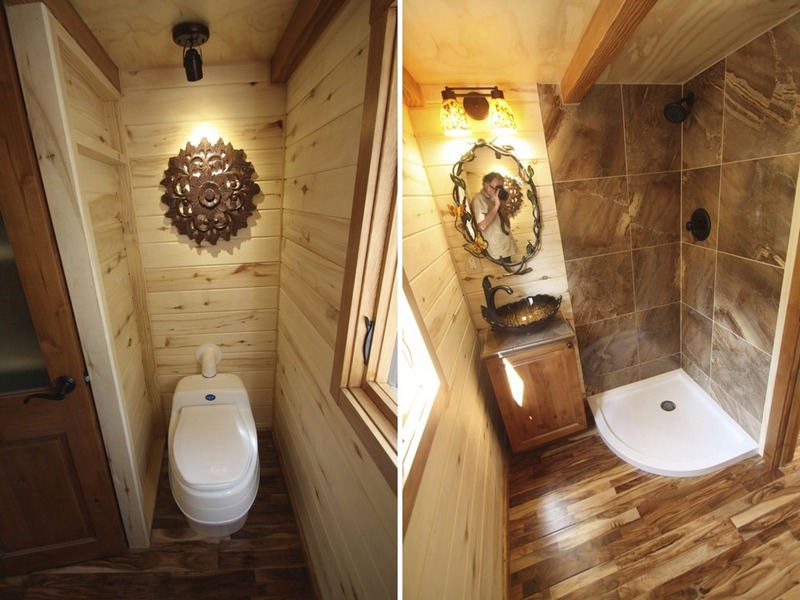 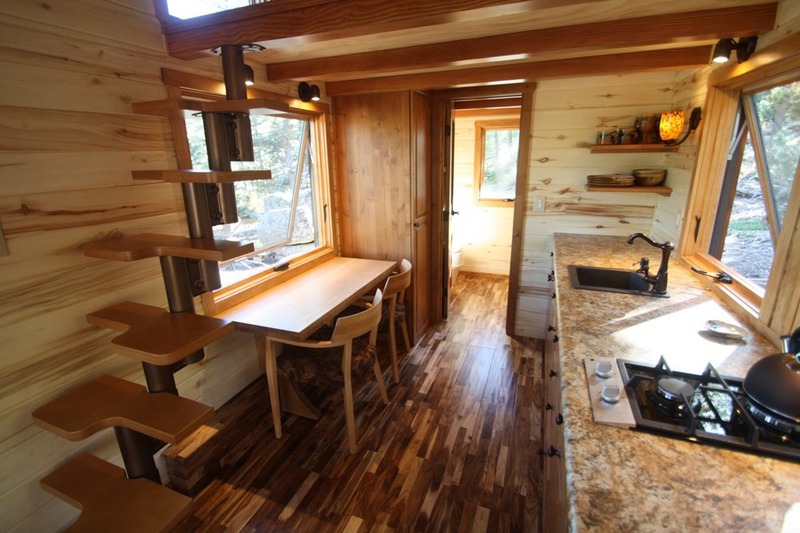 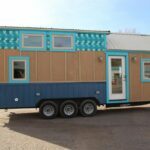 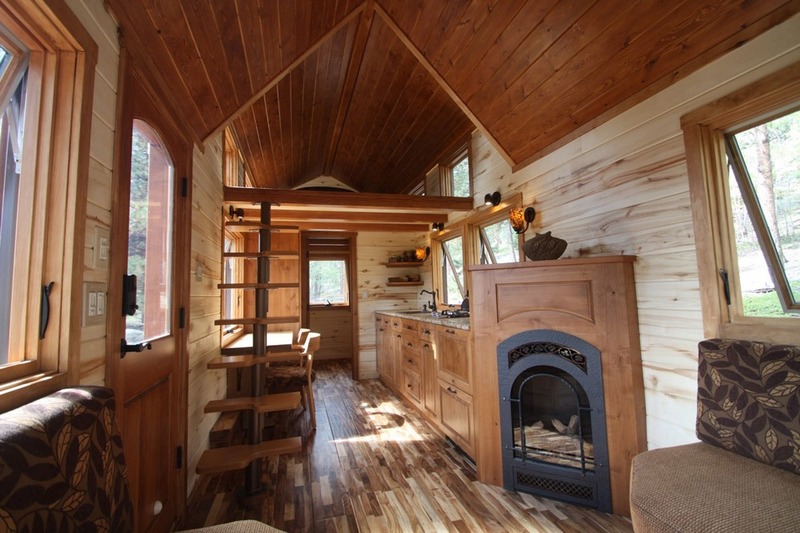 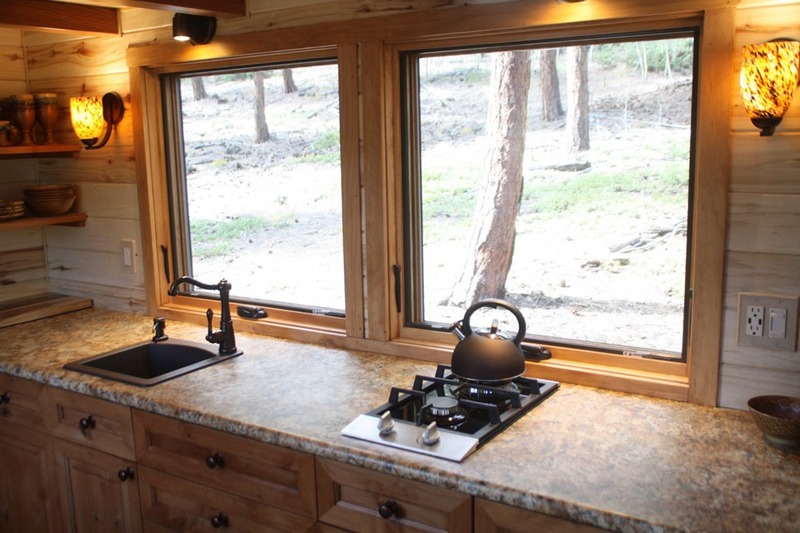 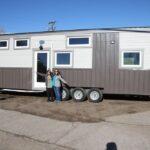 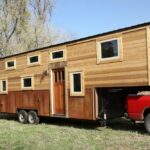 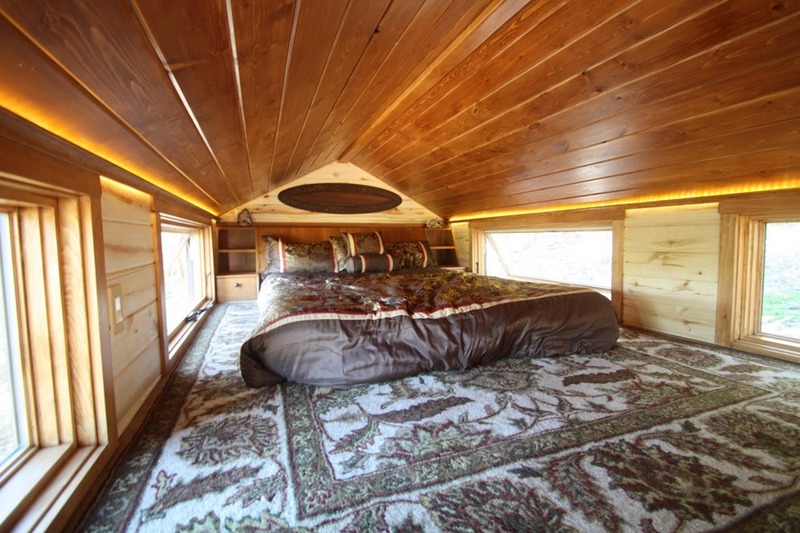 tiny house on wheels created by Simblissity, based in Lyons, Colorado. 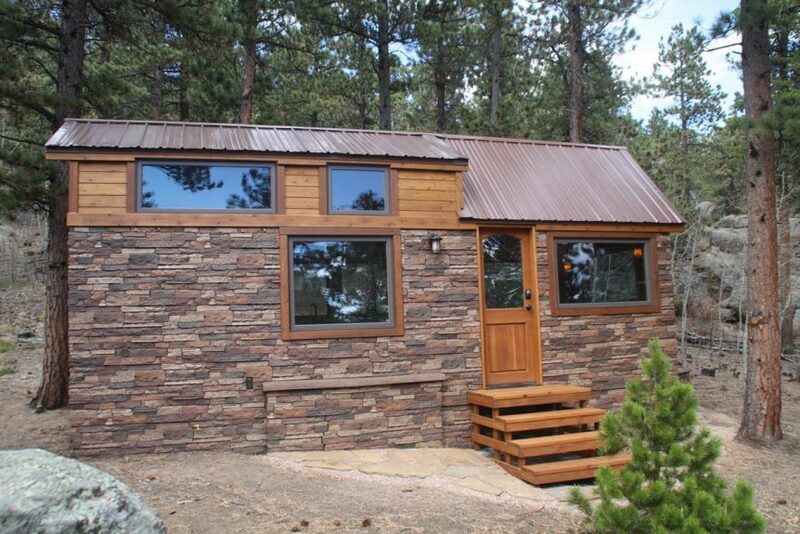 The cottage is a customized version of their 24′ Aspen model with a lightweight stone veneer. 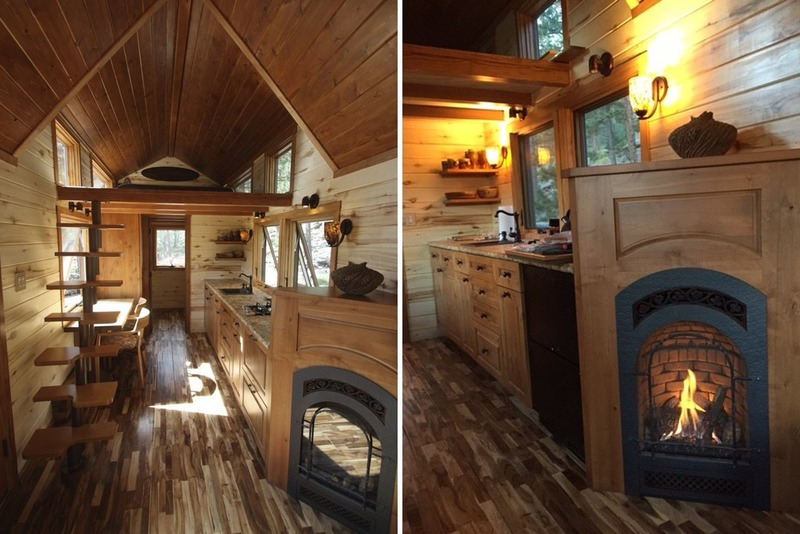 The wooden interior continues the rustic cabin theme, complete with a beautiful fireplace, loft bedroom, living room with U-shaped couch, and kitchen with a two-burner stove.